I lived in a very tiny space. Looking back, I don't ever remember thinking - "I want more"
Life was an adventure. There was so much to see, so much to explore. Things moved at a different pace. I moved at a different pace. Of course, that was a different season of my life. There weren't so many commitments, and I didn't have two very small children. Lately I've been reading articles almost daily about minimalism and simplifying and I've been thinking about it. a lot. I want my children to have experiences. I want them to see the world with their own eyes. I want to experience that with them. That, for me, would be the ultimate gift to them. So, I'm on a journey, of sorts. A journey toward decluttering some of things in my life, and I have to tell you, it has been kind of amazing so far. Let's get one thing clear. I'm not giving it all up to live in a hut in the woods. My version of minimalism is largely about a home without clutter, but filled with things we love, about spending quality time with family and friends, and about consciously cutting back on things that we really do not need, so that we can save for that ultimate gift of travel. I'm also giving more gifts with minimalism in mind. I'm sitting down to write letters to friends for their birthdays, instead of sending gifts. We are taking our 5 year old niece to see a local theatre production of The Little Mermaid as her birthday gift instead of a toy. We are adopting a "Something You Want, Something You Need, Something to Wear, Something to Read" gift practice for our kids this holiday season. Keeping things simple, yet meaningful. 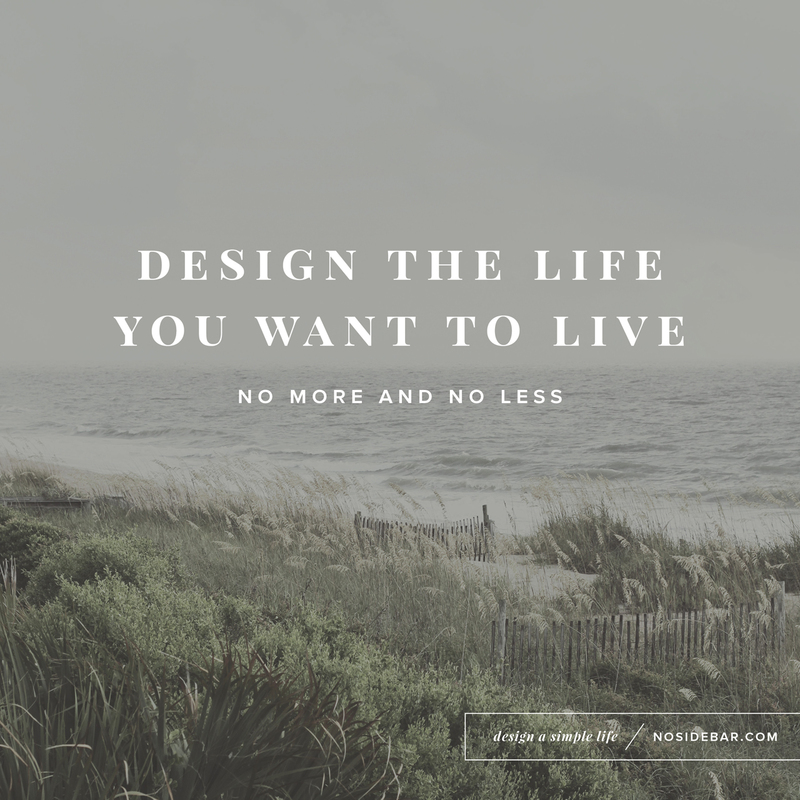 How will you design the life you want to live?